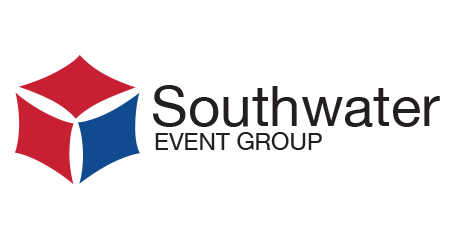 Whether you are staying with us for business or leisure, Southwater Event Group has three hotels offering fantastic choice and comfort for all lengths of stay. With two international hotel brands within our Group; Ramada and Holiday Inn, you can enjoy the rewards and benefits that these brands bring. Ramada Telford Ironbridge offers 90 recently refurbished bedrooms which are complemented by on-site restaurant, gym and swimming pool. Within easy reach of The International Centre, Telford Shopping Centre, and Telford Town Park; the hotel is ideal for leisure and business guests alike. 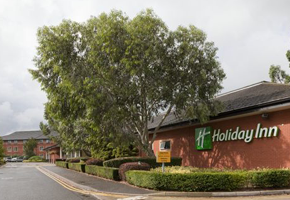 With on-site leisure club and restaurant, the 152 bedroom Holiday Inn Telford – Ironbridge offers style and comfort for any stay. The hotel is located adjacent to The International Centre and Telford Town Park and is a firm favourite with business and leisure guests alike. Telford Railway Station is half a mile away and the hotel has ample free parking. The International Hotel is situated next door to The International Centre, and from the moment you arrive, you will enjoy our warm, friendly and professional service. With 101 well-appointed and comfortable bedrooms, The International Hotel Telford is the ideal place to stay for business or leisure. As well as our own 3 hotels, we work closely with other hotels in the area to ensure event accommodation solutions meet the needs of your event. In particular, we work in close partnership with the 153-bedroom Park Inn by Radisson Telford located just a mile from The International Centre. The Park Inn by Radisson Telford offers perfect accommodation for delegates attending events at The International Centre. The comfortably stylish guest rooms at this hotel offer guests Free Wireless High-speed Internet and digital television channels. Guests can enjoy dining without leaving the hotel at the newly refurbished RBG Bar & Grill and fitness amenities that include an indoor pool and fully equipped gym. Alongside our Group hotels and other town centre hotels, our Event Links Accommodation Booking team also manage a wider network of accommodation to match a variety of requirements from stunning period properties and spa hotels, to hotels that can cater for limited budgets. And with some 3,000 beds within a 30 minute drive from The International Centre, Event Links are perfectly placed to source the right mix of hotels for your event.